What Kind of Gas Should I Put in My Nissan Skyline? 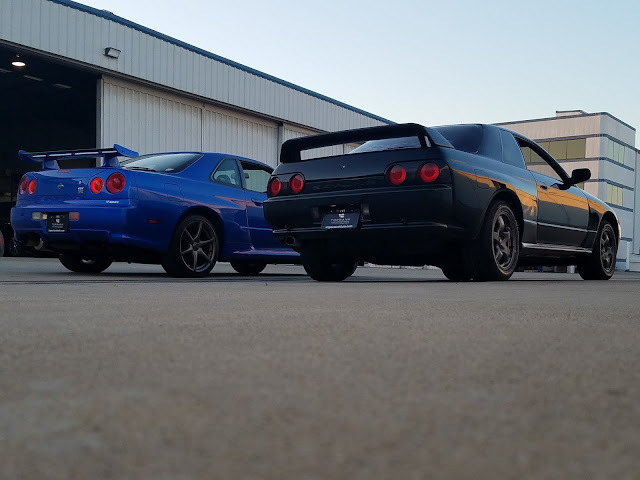 What kind or octane gasoline should you use in your Nissan Skyline? But wait a second, aren't Skylines supposed to run on 100 octane? In Japan they have 100 octane. A. 100 octane (RON) isn't 100 octane (RON+MON/2). There are two different scales at which octane is measured. RON and MON. Most countries use RON which is the higher of the two numbers. 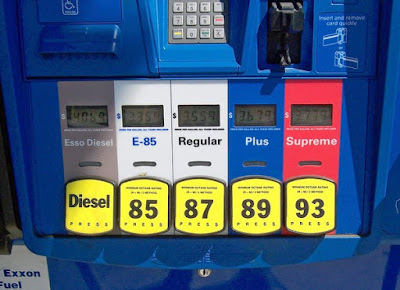 In most countries, including Australia, New Zealand and all of those in Europe, the "headline" octane rating shown on the pump is the RON, but in Canada, the United States, Brazil, and some other countries, the headline number is the average of the RON and the MON, called the Anti-Knock Index (AKI), and often written on pumps as (R+M)/2. It may also sometimes be called the Posted Octane Number (PON). Will my car run better on 100 octane (AKI)? A. All things considered, no. Not unless you need that octane to prevent detonation. Many high-performance engines are designed to operate with a high maximum compression, and thus demand fuels of higher octane. A common misconception is that power output or fuel efficiency can be improved by burning fuel of higher octane than that specified by the engine manufacturer. The power output of an engine depends in part on the energy density of the fuel being burnt. Fuels of different octane ratings may have similar densities, but because switching to a higher octane fuel does not add more hydrocarbon content or oxygen, the engine cannot develop more power. The big sticker on the ECU is a pretty good sign that this ECU is not stock. Does your car have a stock ECU? A. If not then some tuned ECU's are very aggressive, and can cause damage. This is why we recommend that a modified car be retuned for local fuel. You will get the most out of the car.